Builders and architects are notorious for complaining about each other. The builders’ side of the story is that architects like to draw things that can’t be built. Architects think builders ignore their details and when they take design decisions into their own hands, blow it. Clients suffer because the process is inefficient. If it doesn’t cost them money, it costs them time and results in a completed project that is not exactly what they expected. Of course, this is a generalization, it’s not true of all builders and architects and it doesn’t happen on every project. But it is not a characterization. It does happen often enough to bear some truth. 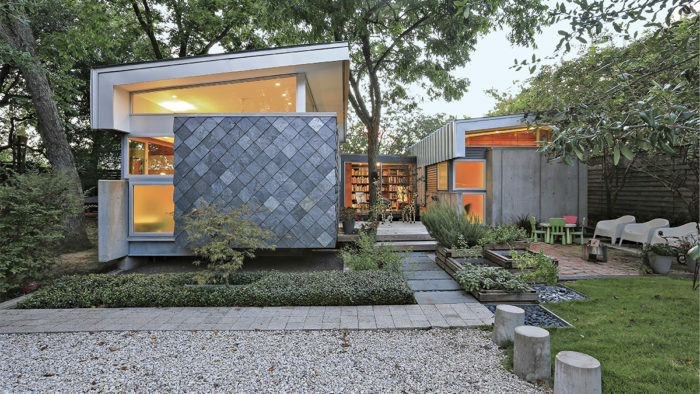 Mark Schatz and Anne Eamon had spent 14 years living in a 700-sq.-ft. house they’d designed and built themselves on the first of three adjacent lots “inside the loop,” as they say of places close to downtown Houston. For more on the project, click HERE. This dysfunctional relationship between builders and architects often occurs when a client hires an architect to do design work which is then done in isolation. The plans are accepted by the homeowner who finds a builder to hand off the plans to. The builder only consults the architect when they hit a snag, or doesn’t, and instead modifies the plans to their liking. One way to head off these problems in communication is to build a team before any work starts. For example, if the client starts their project with a call to a builder, the builder can recommend architects that they have a good working relationship with. 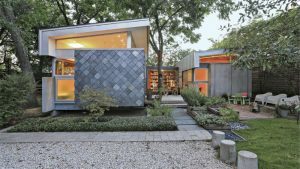 If the architect gets the call, they can bring a builder that they feel is appropriate for the specific project on board before design work begins, or at least very early in the process. Both the builder or the architect can choose to bring sub-trades into the early discussions to make sure that all systems and aspects of the build are represented. Early consultation can relive potential problems, particularly on complex designs or high-performance projects. This is often referred to an integrated project delivery. 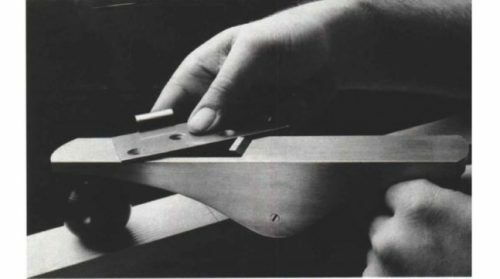 However, the design/build model is arguably the most successful and efficient way to bring the process together. 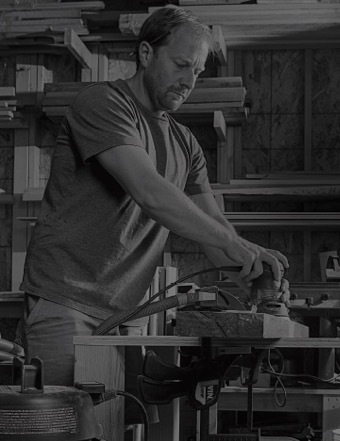 Design/build firms have both architects (or designers) and builders on staff. In this way, all work is integrated from that first phone call. Both the designers and builders have signed off on plans before the client ever sees them and there is regular involvement and consultation between designers and builders throughout the process. The homeowner is never in the middle and has one consistent point of contact for all questions and concerns. For anyone interested in architecture or construction as a career, there is a formal path to the design/build model offered at many colleges, universities, and trade schools. 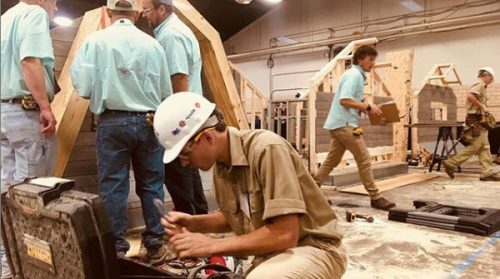 Some programs are fully integrated, like the curriculum at Yestermorrow Design/Build school in Waitsfield, VT which offers programs in residential design and construction, zero-energy design, woodworking, and more. 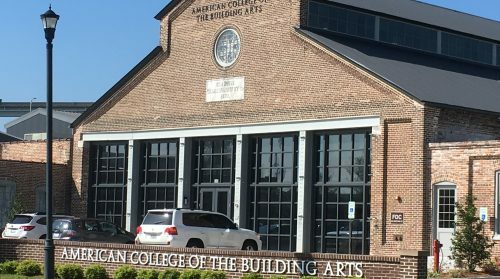 Others, like the celebrated Rural Studio at Auburn University, add a hands-on component to architects-in-training. And some are opportunistic, like the voluntary Solar Decathlon, in which interdisciplinary teams of college students design and build energy-efficient and innovative buildings to compete in a number of categories. There are certificate programs, two- and four-year degree programs and even master’s programs for aspiring design/build professionals. If this sounds like something you are interested in, or you know someone who may be interested in this type of training, we have compiled a list of many of the most visible programs. Of course, there are others. So, if you are aware of a program that should be in the list below, please shoot us an email at info@keepcraftalive.org. Note: We also are currently developing a comprehensive list of all trade schools in the US for high school and post high-school students. If there is a program that you think we should be aware of, please email us at info@keepcraftalive.org and share your experience. We may share your thoughts on this site and add the program to our list.